—Is the Protestant Reformation over? —Aren’t the five Reformation “solas” a footnote in religious history with little to no bearing on modern ministry and life? —Isn’t the Cambridge Declaration (published 20 years ago) yesterday’s leftovers? We don’t think so, and we’re doing something exciting about it. What’s that I hear you ask? —When will it be released? —Are there other authors in the works? —Will it be a bestseller on Amazon? —Will there be a blockbuster tour of the book’s authors coming my way in the very near future? Sign up for updates about the book at alliancenet.org/CD20 or on Twitter at #CD20. 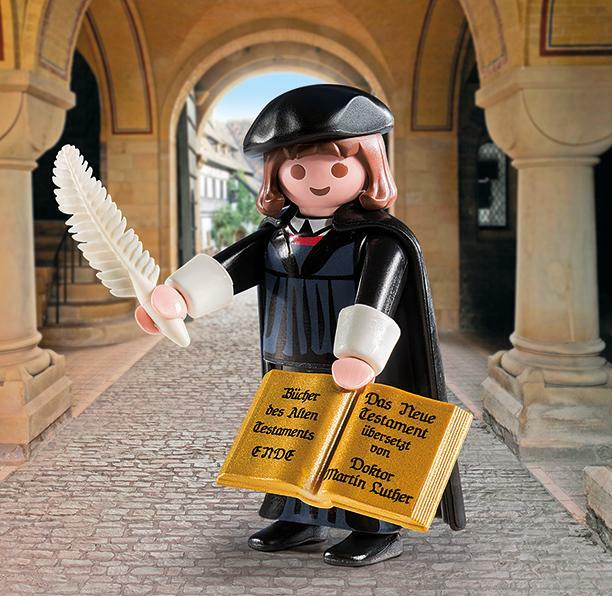 Playmobil’s Fastest Selling Toy Ever Is…Martin Luther? This is simply too good to be true. A good friend informed me last night that German toymaker Playmobil sold out of the first run of the Martin Luther figure in record time. That my doll will soon have a suitable companion. Read about Playmobil’s Martin Luther Reformation ripple-effect here.